Is Hard Water causing Drain Blockage? Water that contains an excess of minerals, generally calcium and magnesium, is referred to as “hard water”, and occurs when naturally soft rainwater dissolves limestone and chalk from the ground as it forms streams and rivers. The real harm done by hard water takes place in the drains, pipes, toilets, washing machines and dishwashers of homes. Hard water causes drain blockage. Hard water can result in the build-up of soap residue in pipes, this can cause drain blockage. Day to day household chores will be a clear indicator for you if you have symptoms of hard water. For example, whether you have a dishwasher or hand wash your dishes, if you have hard water marks or spots will form on your Delph and cutlery. Or if hard water is running through your washing machine it can cause your clothes to become stiff and itchy. After mixing hard water with soap based products, such as fabric softener, it will solidify creating a soap scum substance rather than a lather. If you notice any soap scum residue appearing at your drains it can be due to a drain blockage. How can I prevent drain blockage? 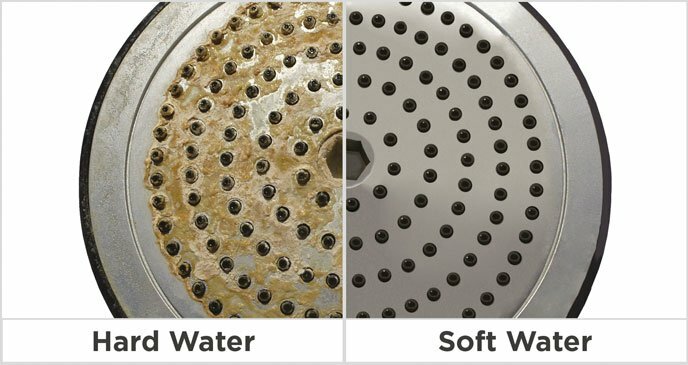 If you think you have a problem with hard water and believe it is causing drain blockage, you may need to have your drains professionally cleaned by means of high pressure jetting. This will remove any build-up of soap scum residue and get your drains back flowing freely. If you are experiencing any hard water problems, please contact Drain doctors on 1890 812 860.